It’s becoming increasingly difficult to remember a time when the prospect of a film centered around the character of Thor seemed like the potential undoing of Marvel Studios. The Iron Man sequel had disappointed as had both Hulk films. Now, they were jumping into the realm of fantasy, and asking audiences to buy into a universe in which Norse mythology is real and places with names like Jutenheim and Asgard and gods like Thor, Odin, and Loki actually exist. They cast a complete unknown (Chris Hemsworth) as their star, and hired Kenneth Branagh as their director. More known as an actor, 6 of Branagh’s 10 directing credits to that point were Shakespeare adaptations (Henry V, Much Ado About Nothing, A Midwinter’s Tale, Hamlet, Love Labour’s Lost, As You Like It). Pretty much nothing he had done made him an immediately obvious choice to direct a big-budget, special effects-heavy summer blockbuster action film. 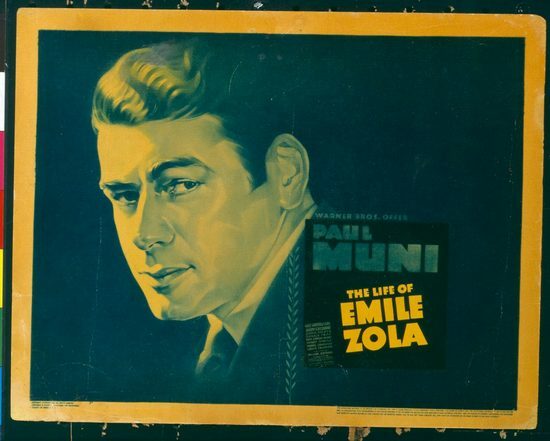 The Best Picture winner of 1937, The Life of Emile Zola is the most notable cinematic depiction of the historical Dreyfus Affair, a scandal in the French government in the late 19th century involving the unjust court-martial of an innocent Jewish soldier named Alfred Dreyfus. A famous French author of the time named Emile Zola published a letter entitled J’Accuse (translation: I Accuse) in which he presented damning evidence against the government. This directly lead to Dreyfus’ acquittal, though not before Zola had been found guilty of libel and sentenced to a year in prison. This is only relevant because Branagh is a fan of Emile Zola and based the moment of Odin ripping the chest plates off of Thor’s costume before banishing him to Earth on a similar scene in Zola when Dreyfus has the epaulettes ripped off his uniform after his court-martial. Jaimie Alexander is not actually British, despite her accent as the warrior Sif in the Thor films. Nope, she grew up in Texas. Branagh observes that she grew up with multiple brothers which made her somewhat of a tomboy. A byproduct of this is that she is, by Branagh’s assessment, a humongous comic book nerd. He states she probably knew more about the comics than almost everyone working on Thor, meaning any hint you might see of Alexander’s Sif having feelings for Thor is completely intentional since Sif is his eventual wife in the comics. One of the funnier moments in the film involves the New Mexico townspeople gathering to each try and lift Thor’s hammer, ending with a Stan Lee cameo as the driver of a truck who foolishly attempts to simply haul the hammer out of the ground. This sequence was inspired by various similar moments from the comics. However, Branagh is quick to argue the comics clearly got their idea from Arthurian legend. King Arthur became the divinely appointed king due to his possession of the sword Excalibur, which only the most worthy person could pull from the stone in which it was lodged. So, just replace Arthur with Thor and Excalibur with Mjolnir. You could argue Thor’s brief shirtless scene is as much an objectification of a male actor (Chris Hemsworth) as many other films are accused of doing with female actors. Or you could just laugh away such noise and get lost in admiration, lust, or both at the sight of the product of Hemsworth’s 6-9 months of intense physical training. However, there is an actual purpose to the moment in that it is meant to emphasize just how god-like Thor is. Branagh puts it succinctly, “We needed Thor to look like a god, and Chris Hemsworth did.” Hemsworth apparently was so okay with going shirtless he practically insisted upon it (otherwise what was all that physical training for). Well, God bless his muscle-bound torso. The small New Mexico town was actually in New Mexico, located just outside of Sante Fe. It wasn’t a real town, though. 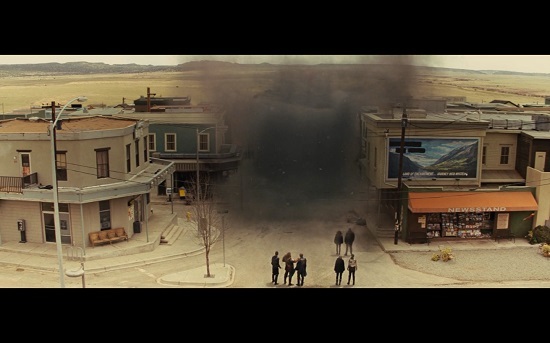 Instead, it was a location used in the filming of countless westerns, “as far back as Silverado and as recently as Appaloosa.” The Thor production team built upon this existing framework, but ultimately basically built their own entire little town (Iron Man 3 did something similar in North Carolina). This was done to allow them to control as many elements as possible, such as not needing to stop traffic. Plus, this allowed them more freedom to plan the logistics of the final sequence with The Destroyer demolishing parts of the town. Branagh explains the decision to set the Earth stuff in a New Mexico town in the first place was inspired by prior experiences he had in that region of the country. His concept was for it to be a town smack dab in the middle of the vast sea of the desert just like Asgard sits in the vast sea of space. There is actually a very quick etymology lesson in the film. When Dr. Selvig picks up the children’s book about Norse mythology one of the pages he looks at has an image which reads “Thursday-Thor’s Day.” Branagh says he “wanted to have in the movie from day 1 which is the simple explanation that Thursday comes from Thor, it is Thor’s day, as indeed Friday comes from Frigga (Thor’s mother) and two other days from the western calender that are also influenced by the Norse myth.” He’s right – both Thursday and Friday are words which are derived from Old English references to Thor and Frigga. The other days whose names are similarly indebted to Norse mythology include Monday (“Moon’s Day,” the Norse god Mani being the moon personified), Tuesday (“Tiw’s Day”, Tiw being the Norse god of war) and Wednesday (“Woden’s Day,” Woden being the pre-Norse name for Odin). 9. 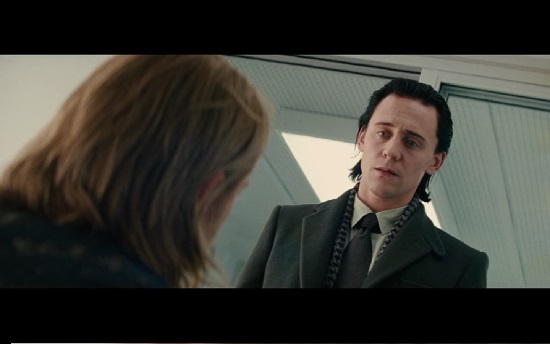 Loki As Iago From Othello? Of course, Shakespeare would come up at least once. Branagh makes an interesting comparison when discussing Loki’s deception of Thor on Earth, “The act, if you like, of Loki is seamlessly done by Tom Hiddleston who evoked as by way of a model for his character the character of Iago in Othello, a terrifying Shakespearean character who is a sort of sociopath who will disguise every real feeling under the mask of authentic and genuine seeming.” Yep, sounds kind of like Loki. 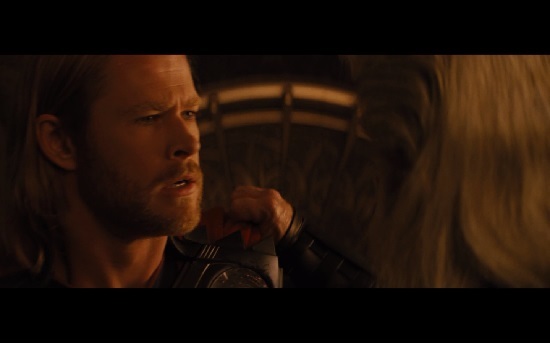 By Branagh’s assessment, one of the most re-edited sequences in the entire film is the ending of Selvig and Thor’s scene in the bar. 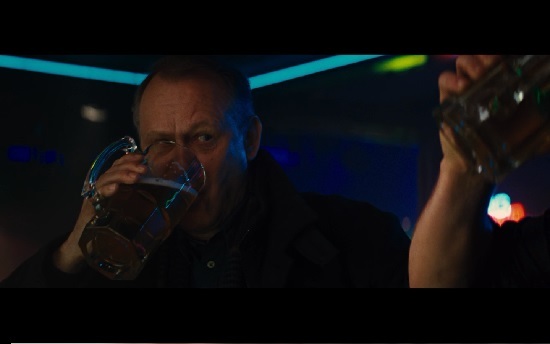 The ending they went with involves Selvig foolishly engaging in a drinking contest with Thor, as an attempt to establish his superiority and express his protective nature of Jane. We end on Skarsgard flashing a nervous glance at Thor as the two are downing huge beers. Why so difficult? Well, the deleted scenes reveal there was originally much more to it as they continued in the bar for a while longer before spilling out into the streets for some drunken camaraderie and singing of drinking songs. However, that final glance was all they really needed. You can read the full review and comparison of Thor to Man of Steel here. Thor ends in a brilliantly edited sequence in which Heimdell informs Thor that Jane continues searching for him before we cut to Earth to see her doing exactly that, a close-up of her bearing an assured smile cutting back to a shot of Thor smiling in admiration of her fortitude. However, this particular sequence with Jane, Eric, and Darcy on Earth was actually meant to be the opening shot of the movie. Branagh, sadly, doesn’t elaborate beyond that. 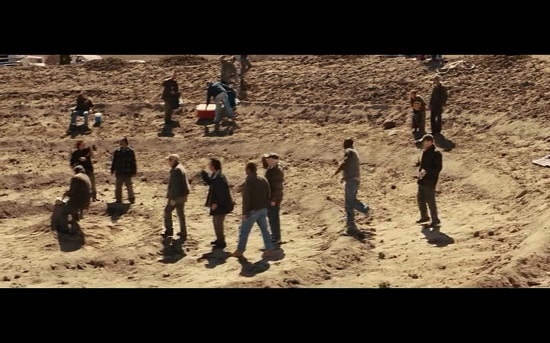 It’s most likely this brief bit was to precede Jane and her team’s now-opening scene in their truck in the desert. 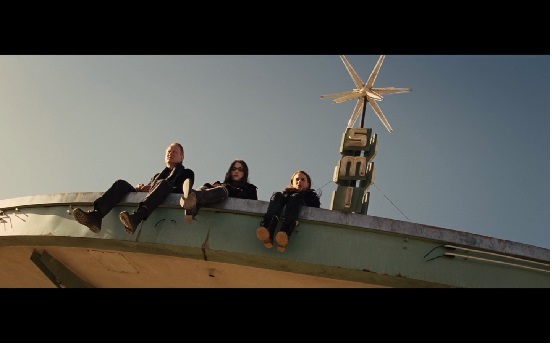 When they flipped it to the end of the movie they must have added in the dialogue from Eric where he can be heard to reference “SHIELD satellite locations” as an acknowledgment of the scene’s new placement in the film’s timeline. This was a fantastic decision on their part as cutting to Jane gives extra weight to Heimdell’s promise to Thor that there is always still hope. Not all commentaries are created equally, as many are unfortunately giant wastes of time and back-slapping whereas others can be entertaining but in no way informative. Branagh’s commentary, as with most of his prior commentaries, is more academic than most. He makes a point to pass credit around to the various aspects of his production team as well as provide explanation for the motivation behind most aspects of the film, pointing out connections we may not have noticed (such as Loki’s ultimate plan to destroy the Frost Giants being no different than Thor’s pre-Earth argument for taking the fight to the Frost Giants instead of suing for peace). Frankly, you come away from it wanting to attend any film school Branagh might someday grace with his presence as a teacher or perhaps special guest lecturer. Great article! (and thanks for linking to me!) I’ve listened to enough boring commentaries that I’m sometimes a bit reluctant to check one out from a director whose commentary skills I am not familiar with. So, I’ve never listened to Branagh for Thor. Your article makes me want to! There are some interesting insights here, particularly his inspirations. I’m with you on commentaries. It is way too easy to get burned and have your time utterly wasted. Branagh’s commentary is not exactly one I would call entertaining. It is just him, and there are not a lot of jokes to go around. It’s also not as factoid informative as it could be. For example, he does not really explain any of the Marvel easter eggs in Odin’s vault, instead inviting fans to look for them. However, he does a great job of walking the audience through the creative process, quite frequently explaining the intent behind certain scenes and the connections they were truing to make. I only gave his commentary a chance in the first place because I knew that his commentary for his Hamlet movie is actually conversation between himself and one of the world’s leading Shakespeare experts. I figured any guy who did that would likely have some unexpectedly high-brow observations about Thor. Previous Entry Doctor Who’s Day of the Doctor Mini-Episode Is Out & It Stars Paul McGann!